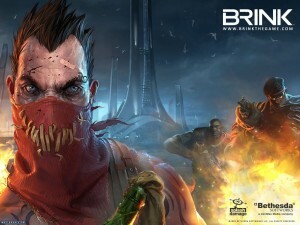 The wait for Brink is over. But for some of you it isn’t. Brink is crashing, freezing, and lagging some computers. Here are some solutions that we found to have worked. This is a known issue. Although there are many factors outside of your control, you can at least take the following steps. Step 1. Disable your firewall and potentially your anti-virus. Yes even your anti-virus can slow down your connection. We don’t take responsbility for what happens when you disable these though. Step 3. Lower your game settings. Step 4. Put your router in game mode. This can be because your firewall and/or anti-virus is actually blocking the game. This is an issue with Steam. They have documented steps to take to resolve the situation. Please completely log out of the Steam client (make sure it is not running in your Windows Taskbar) and then re-start Steam. This should correct the issue. If the issue continues and Steam is installed to a location containing letters or symbols not contained in the English alphabet (such as accents), please move your Steam installation to a directory that does not contain these characters, such as C:\Steam. Please see the Moving a Steam Installation article for instructions on doing so. The Steam Client Service is a required component of Steam on Windows Vista and Windows 7. If the Service is not operating properly, certain Steam functions may fail. Step 3. In the command prompt, enter the following command, including quotation marks: “C:\Program Files\Steam\bin\SteamService.exe” /repairNote: C:\Program Files\Steam\ is the default installation directory for Steam – change this to the correct directory if you installed Steam to a different location. 64-bit systems will use Program Files (x86) instead of Program Files. Step 4. This process will take a few minutes to complete. Once finished, the message “Steam Client Service repair completed.” will appear. Step 5. The issue may be fixed at this point, however it is recommended you reboot your computer before testing if the repair resolved the problem. Step 1. Update your videocard drivers! You can find the latest verison of AMD/ATI’s Catalyst here, and the latest version of NVIDIA’s Forceware Drivers here. Step 1. Make sure your computer screen is set to 32 bits and not to anything less. You can do this by right clicking your desktop and going to properties or personalize. Step 2. Update your videocard drivers! You can find the latest verison of AMD/ATI’s Catalyst here, and the latest version of NVIDIA’s Forceware Drivers here. There is a nice third party program out at the moment. You can use this to alter your Brink Settings. You can download the Brink Configurator here. If you are getting a low frame rate, this is a good place to start. This entry was posted	on Wednesday, June 1st, 2011 at 10:44 AM	and is filed under . You can follow any responses to this entry through the RSS 2.0 feed. You can leave a response, or trackback from your own site.